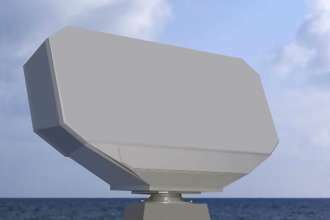 The ELM-2258 or “ALPHA” (from Advanced Lightweight Phased Array) is an operating in S-Band rotating multi-function solid-state active electronically scanning array (AESA) radar system for the new generation of medium-sized combat ships such as corvettes, frigates and larger vessels. It consists of a lightweight active phased array and employs multi-beam and pulse Doppler techniques. It also includes robust electronic counter countermeasures (ECCM) techniques and detection capability against low Radar Cross Section (RCS) targets in complex clutter and jamming environments. This Software Defined Radar will replace all those radars with a single system, more reliable, flexible and agile.